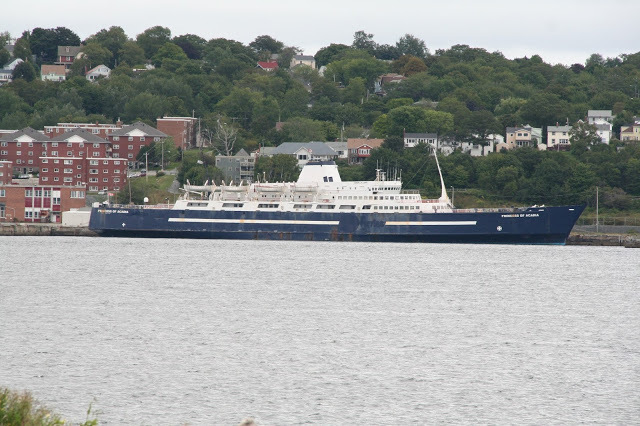 The former Digby ferry princess of Acadia moved from Saint Johns to the former coast guard base in Dartmouth Friday morning. bay ferries has painted out the logo, and returned the ship to the Federal Government. No word on why she is here but she will likely be sold for scrap shortly. This entry was posted in ferry on September 14, 2015 by Peter Ziobrowski.